There's something quite special about receiving a handwritten card for a special occasion and Christmas is no different. I remember back in school having to write 30 odd cards for all the classmates, a special few cards for your favourite teacher, then deposit the lot in a cardboard post box made by a teacher. The thrill of receiving a little card in your locker or school draw the days leading up to the Christmas break was such a great feeling it seems a shame to me to break the cycle of giving and well wishes! Now I am an adult I find I have much fewer cards to write and send, but I still take time perusing the shops for the card that will make my sister laugh out loud, or make my Grandad smile with joy. Each card is chosen with love. 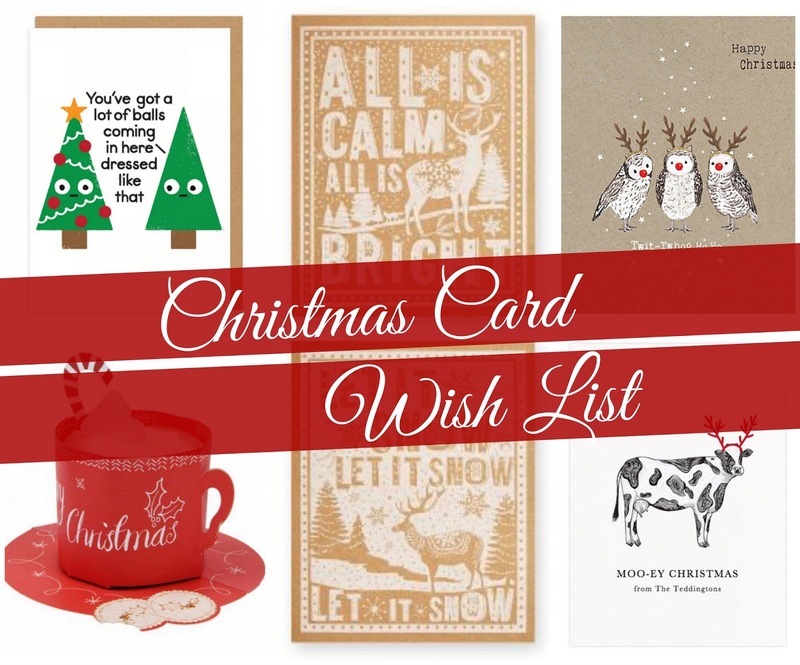 I've put together a wish list of my favourite Christmas cards that I've seen floating around shop aisles and online - why not have a look and see which ones you could treat your loved ones to? I am obsessed with Kraft paper, so these simple but striking designs are exactly what I'd like to receive! 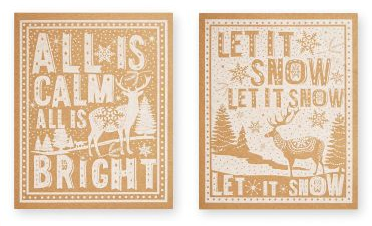 I like that it has traditional Christmas songs along with reindeer as it's pattern - it's festive in a modern way. This cow card brought a smile to my face, and it's sure to delight anyone you treat to it! Any animals pretending to be a reindeer at Christmas is a winner in my book, plus you can personalise the card to have your own name on it. I'm so predictable - these cards are not only made of Kraft paper but they feature cute fluffy owls pretending to be Christmas reindeer. Everything I love in one card! 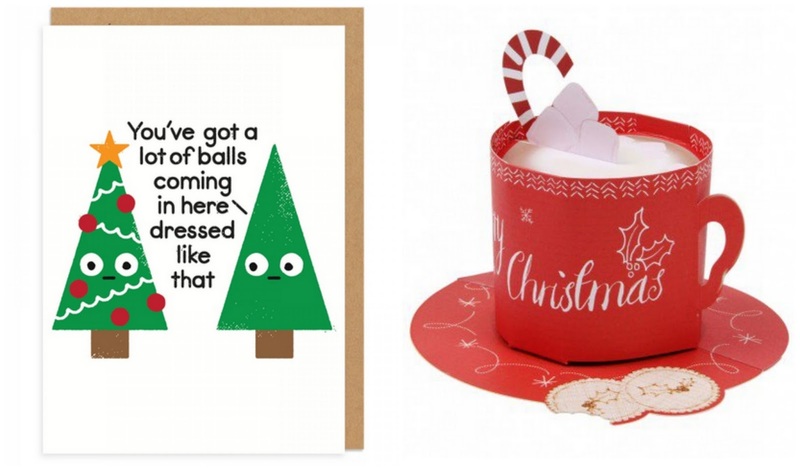 If you're a stationary fan, you're probably aware of Ohh Deer and their products with a quirky sense of humour. This card made me laugh out loud... who doesn't love a good pun at Christmas time?! 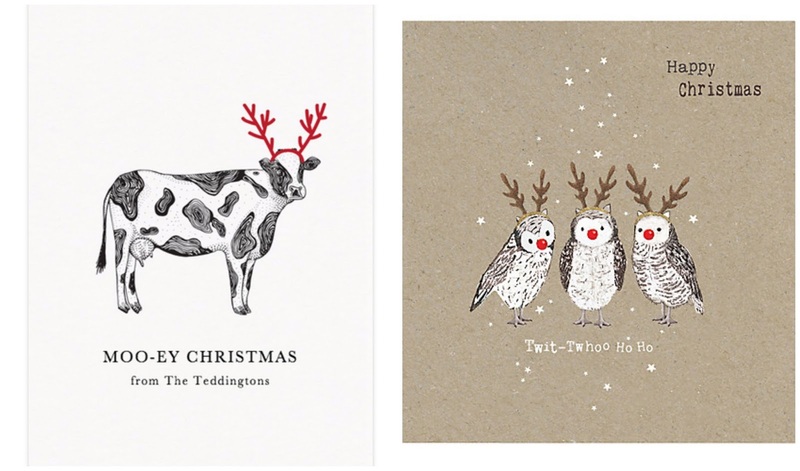 If you're after something a bit more alternative, Ohh Deer will be your place to go. I reckon I drink enough hot chocolate to keep Costa running, so, of course, this unique card appeals to me! I love that this is a pop-up card and I think it would take the receiver by surprise. I know I'd love to get this card! Which of my favourite Christmas cards would you like to see in your post box? Which ones would you send to your family and friends? Let me know in the comments!